Members book on to the County competitions via their How Did I Do (HDID) account or, alternatively, the RLCGA Club V1 Members Hub, if they are a member. The competition results are posted on HDID. The eight players with the best net aggregate from the Championship Qualifying round and the Spring Meeting qualify for the match play stages. The 2018 winner is Anne Judge from Ranfurly Castle. This is a knockout competition which takes place between October and March and is played over various Renfrewshire courses. 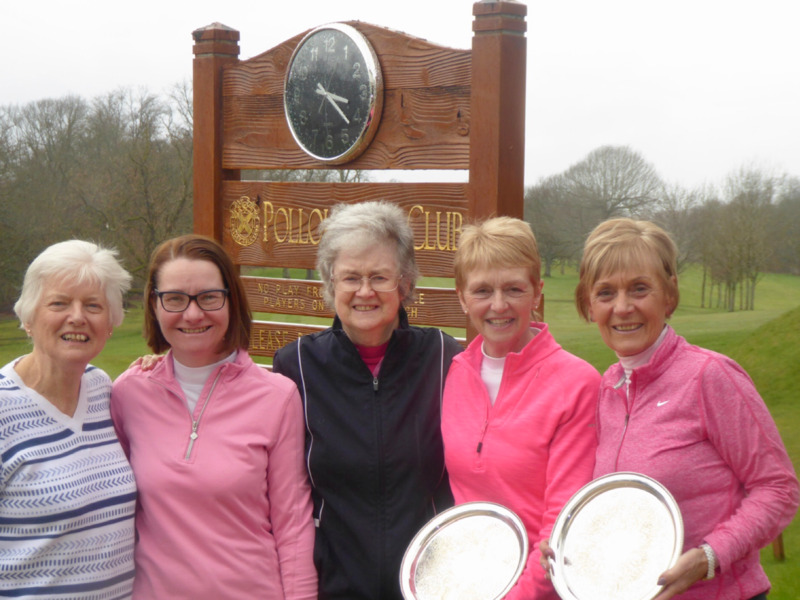 Ranfurly Castle's Anne Judge and Marion Munro from Ranfurly Castle are the 2018/2019 winners after winning in a marathon match at the 24th hole over Pollok Golf Course against Sheila Shaw (Caldwell) and Jan Macnab (Ranfurly Castle).